Lost Key Golf Course Condominium home For Sale in Perdido Key FL. The resort property has an open design with a spacious living room, kitchen and dining areas. The kitchen is ideally designed with granite countertops and ample cabinet and counter space. Enjoy spending time on the large private balcony that overlooks the 18-holegolf course. The open Master BR has split dual-vanities, a large garden tub, a walk-in shower and a walk-in closet. While living at Lost Key you you’ll enjoy access to an array of amenities, such as shuttle service to the Beach and Pool Club! The gated community is built around an 18-hole Arnold Palmer Championship Golf Course, complete with clubhouse and golf shop. San Anton has its own private pool and BBQ area, plus access to the large community pool, entertainment area, and exercise facility at Lost Key Golf and Beach Resort. 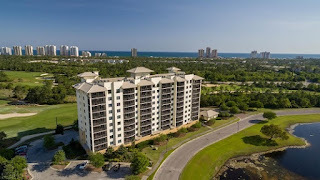 Come see the best in gulf coast living, plan to see this condominium!